Make it a laid-back and chill weekend in this Baseline Crew Tee. Classic T-shirt is crafted from a soft tri-blend jersey. Crew neck and short sleeves. Straight hemline. 50 percent recycled polyester, 38 percent organic cotton, 12 percent rayon. Machine wash cold, dry flat. Imported. Measurements: Length: 27 in Product measurements were taken using size MD. Please note that measurements may vary by size. 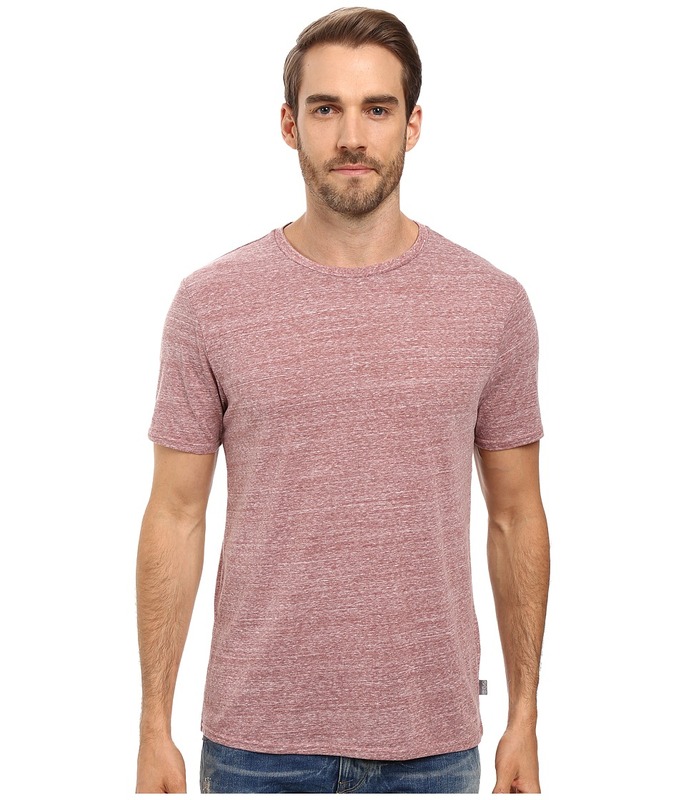 Get rugged and ready in this classic Baseline V-Neck T-Shirt. This closet must-have tee is crafted from a soft tri-blend jersey. 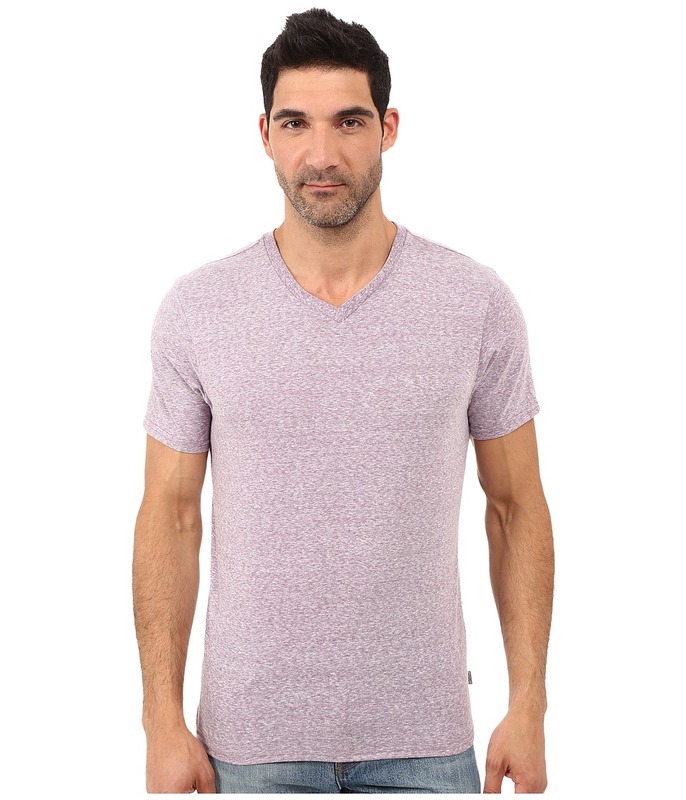 V-neck sits closer to the neck. Short sleeves. Mini brand tab at left hem. Straight hemline. 50 percent recycled polyester, 38 percent organic cotton, 12 percent rayon. Machine wash cold, dry flat. Imported. Measurements: Length: 28 in Product measurements were taken using size MD. Please note that measurements may vary by size. 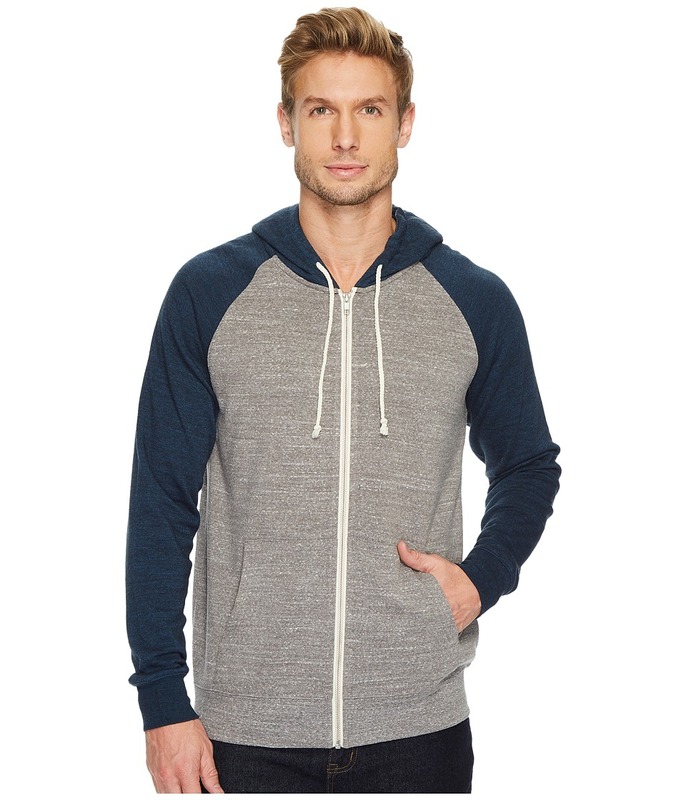 Spruce up your hoodie collection with this Malibu Raglan Hoodie. Your new favorite sweatshirt is crafted from a soft tri-blend knit. Color block feature. Drawstring at attached hoodie. Long raglan sleeves with cuffs. Split kangaroo pocket at front. Full zip-up front closure. Straight banded hemline. 50 percent recycled polyester, 38 percent organic cotton, 12 percent rayon. Machine wash cold, dry flat. Imported. Measurements: Length: 28 in Product measurements were taken using size MD. Please note that measurements may vary by size. 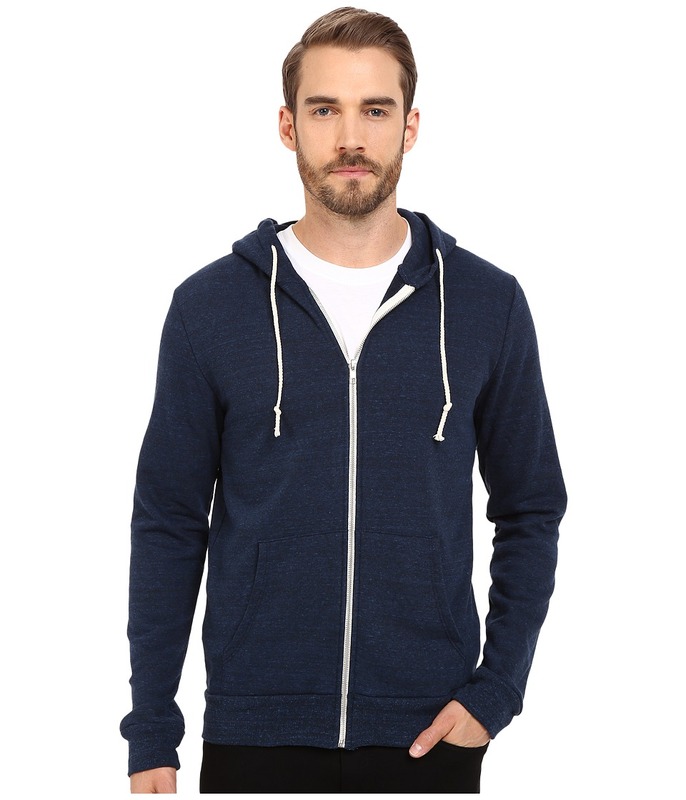 Keep the day~s chill off your back while keeping your look on point with the easy style of a Triblend Zip Front Hoodie. Supersoft tri-blend fabrication features a smooth outer face with a warm, brushed inner face. Drawstring hood. Full-length zip with contrast grosgrain taping. Long sleeves. Kangaroo hand pockets. Rib-knit cuffs and hem. 50 percent recycled polyester, 28 percent organic cotton, 12 percent rayon. Machine wash cold, dry flat. Imported. Measurements: Length: 28 in Product measurements were taken using size MD. Please note that measurements may vary by size. 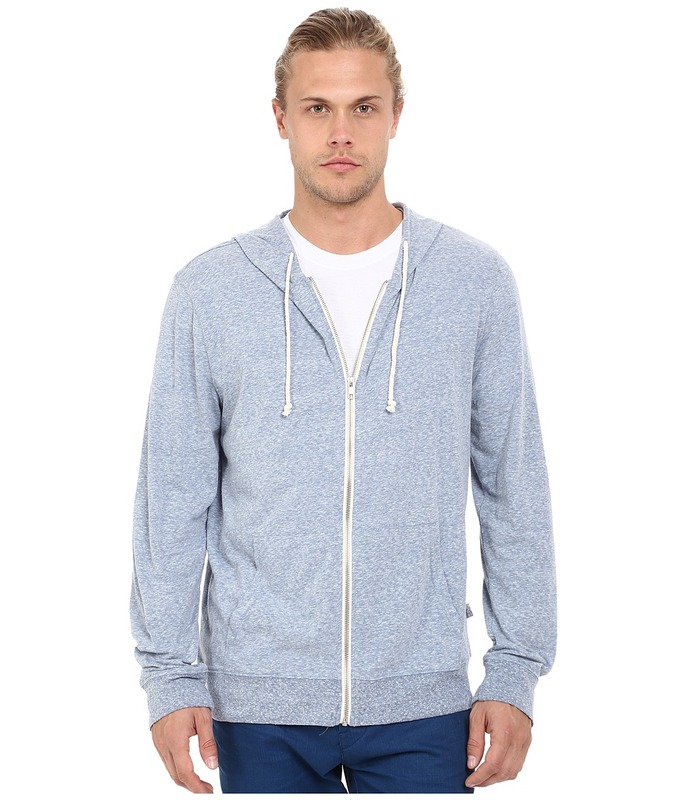 Transition into the new season with this Giulio jersery hoodie. T-shirt hoodie is crafted from a lightweight tri-blend jersey. Drawstring at attached hoodie. Long sleeves with cuffs. Split kangaroo pocket at front. Full contrast zip-front closure. Banded trim at straight hemline. 50 percent recycled polyester, 38 percent organic cotton, 12 percent rayon. Machine wash cold, dry flat. Imported. Measurements: Length: 28 in Product measurements were taken using size LG. Please note that measurements may vary by size. Sport a laid-back look without even trying. 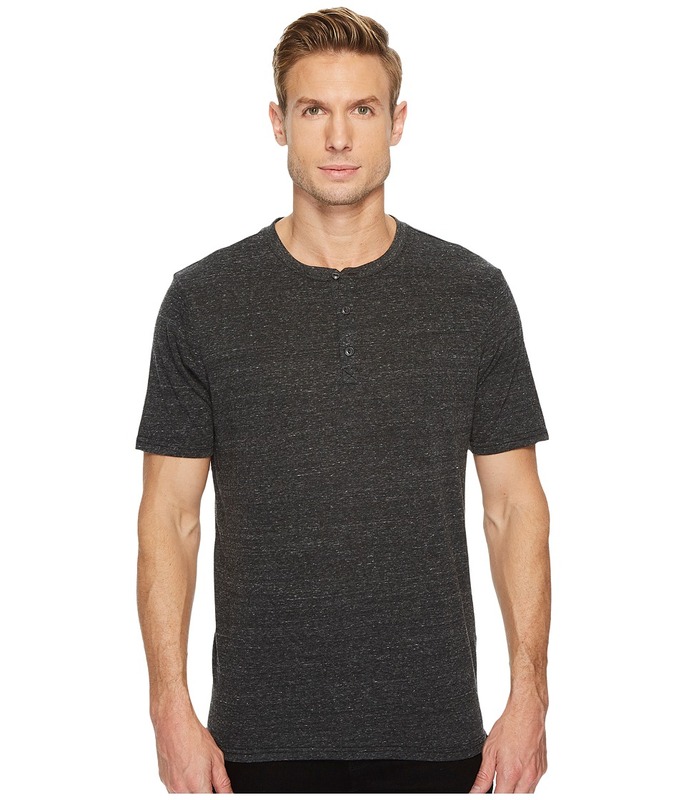 Baseline henley is crafted from a soft tri-blend jersey. Crew neck and short sleeves. Button-up placket at front. Mini brand tab at left hem. Straight hemline. 50 percent recycled polyester, 38 percent organic cotton, 12 percent rayon. Machine wash cold, dry flat. Imported. Measurements: Length: 28 in Product measurements were taken using size MD. Please note that measurements may vary by size. Dress for the occasion in this Blake Polo. 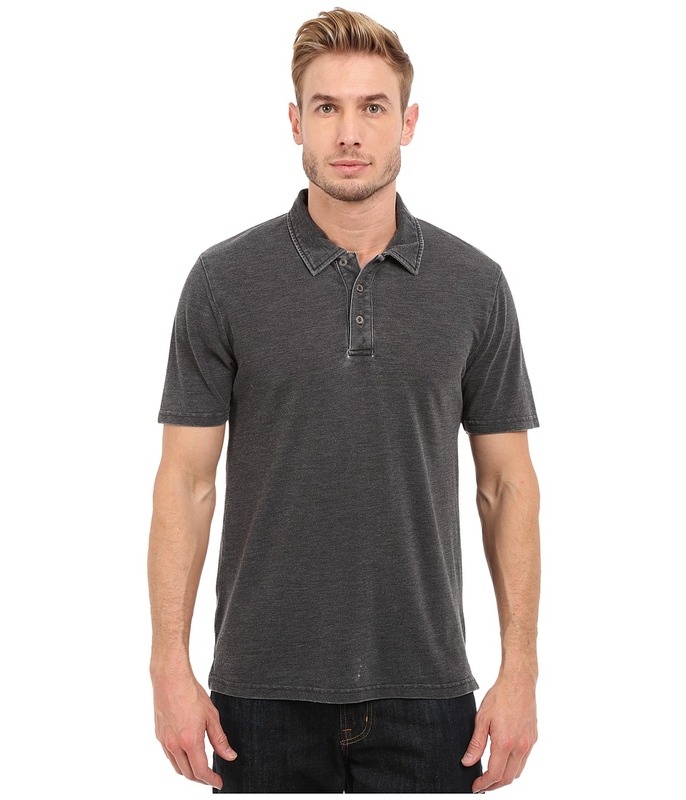 Pique polo shirt features a distressed wash for a worn-in look and feel. Fold-over collar. Short sleeves. Three button-front placket. Vented sides. Straight hemline. 60 percent organic cotton, 40 percent recycled polyester. Machine wash cold, dry flat. Imported. Measurements: Length: 29 in Product measurements were taken using size MD. Please note that measurements may vary by size. 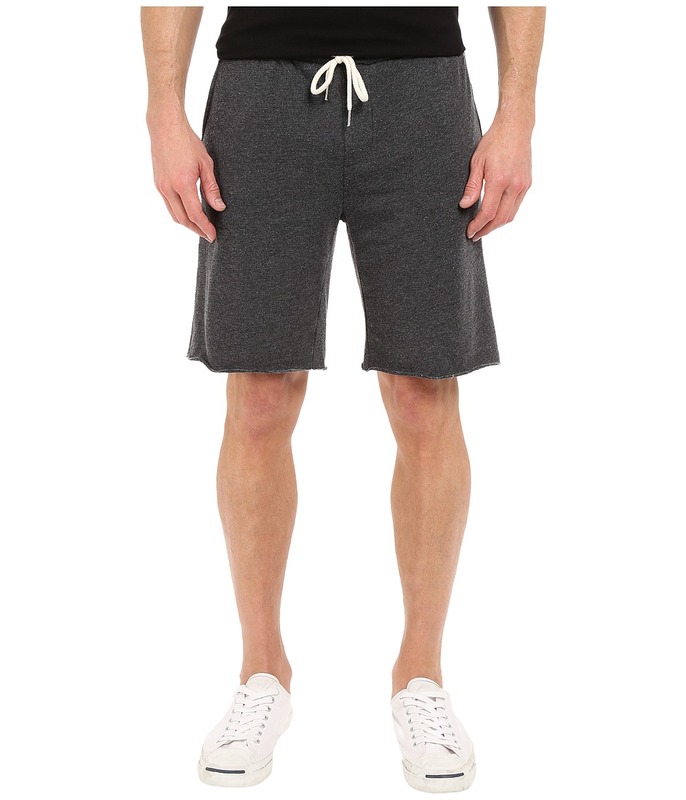 Sport a laid-back look in this Burnout Wash Shorts. Cutoff sweat short features a burnout wash for a worn-in look. Crafted from a cotton-poly knit. Elasticized waist with drawstrings. Three-pocket design. Raw edges at hem. 60 percent organic cotton, 40 percent recycled polyester. Machine wash cold, dry flat. Imported. Measurements: Waist Measurement: 33 in Outseam: 19 in Inseam: 9 in Front Rise: 11 in Back Rise: 16 in Leg Opening: 22 in Product measurements were taken using size MD, inseam 9. Please note that measurements may vary by size. 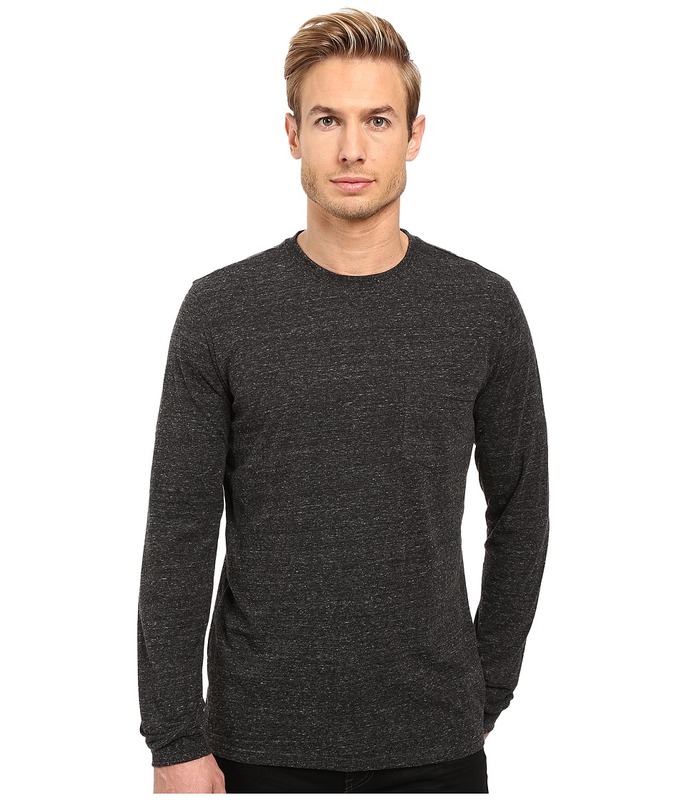 Make it a laid-back and chill weekend in this Tri-blend Long Sleeve Pocket Tee. Classic T-shirt is crafted from a soft tri-blend jersey. Crew neckline. Long sleeves. Straight hemline. Pull-on. 50 percent recycled polyester, 38 percent organic cotton, 12 percent rayon. Machine wash cold, dry flat. Imported. Measurements: Length: 29 in Product measurements were taken using size MD. Please note that measurements may vary by size.